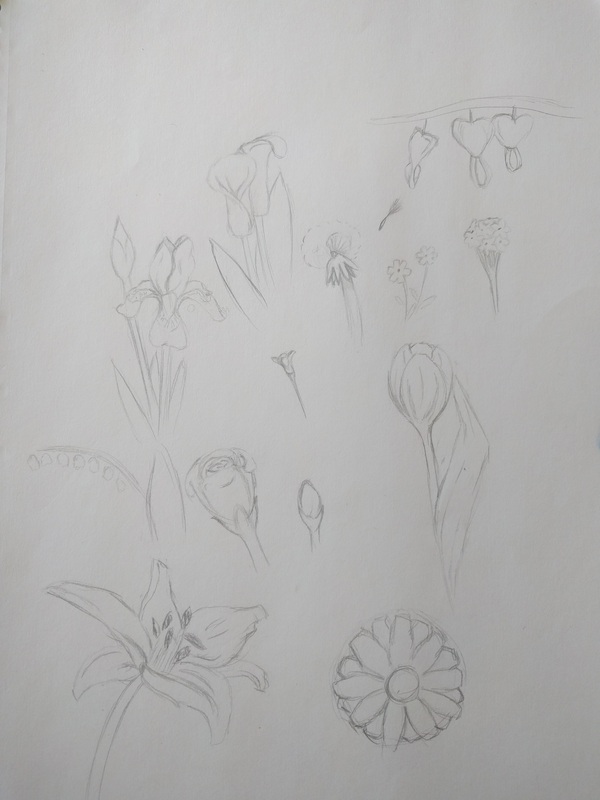 I thought I would work on drawing flowers recently. I wanted to see what I could draw from memory, and what I may have an issue drawing. Apparently I have an issue drawing daisies…but I can draw a whole bunch of other flowers from memory. Next week I will have a sketch an a pottery piece that I did for my mom lined up for updates. I would of posted the pottery piece this week, but it’s a birthday present. I kind of wanted her to receive it in the mail and open it before announcing it to the world. The tulip and iris are lovely though!